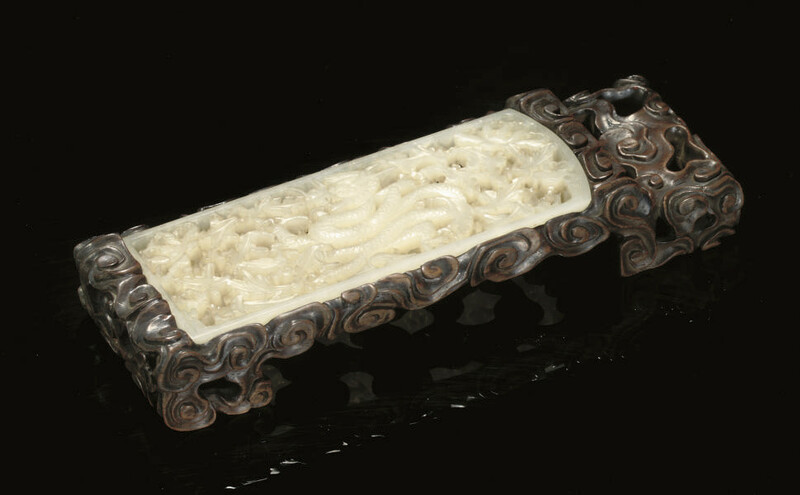 the rectangular wood rest carved and pierced as swirling cloud scrolls, with a lowered tier to the right edge, a jade plaque, Ming Dynasty (1368-1644), inserted to the flat top, pierced through with a scrolling dragon, with a fierce open mouthed expression, amongst lotus flowerheads and foliage -- 6¼in. (15.9cm.) wide.